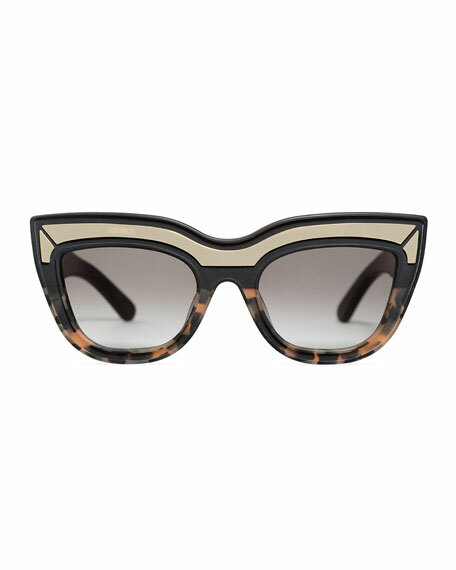 Valley Eyewear "Marmont" limited edition cat-eye sunglasses in acetate. 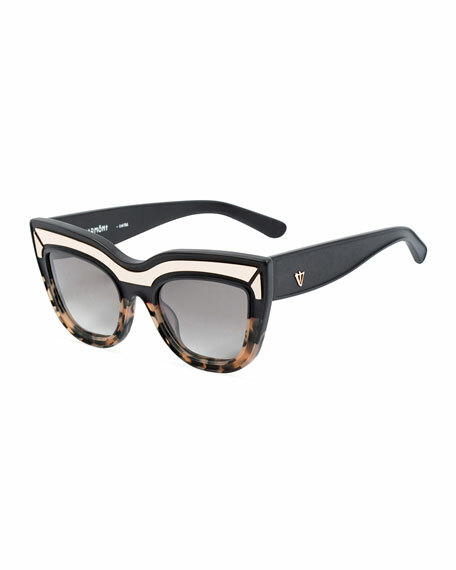 Two-tone frame front with golden metal hardware. 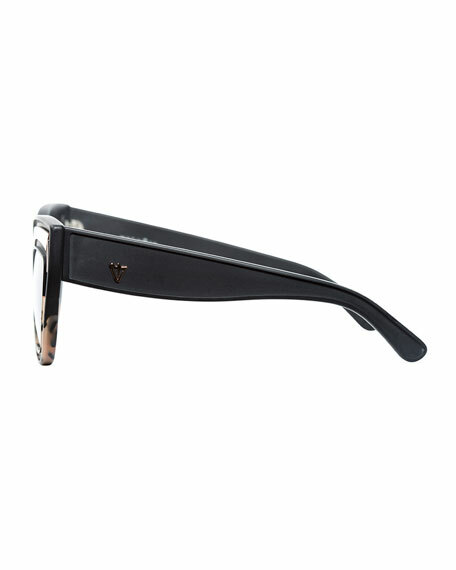 Tapered temples with logo detail. For in-store inquiries, use sku #2180006.